On a cloudy and humid July 13, 2013 Jay Athanas gets ready to jump off the pier in Magnolia, MA. Pier jumping with friends is one Jays’ favorite summer activities. 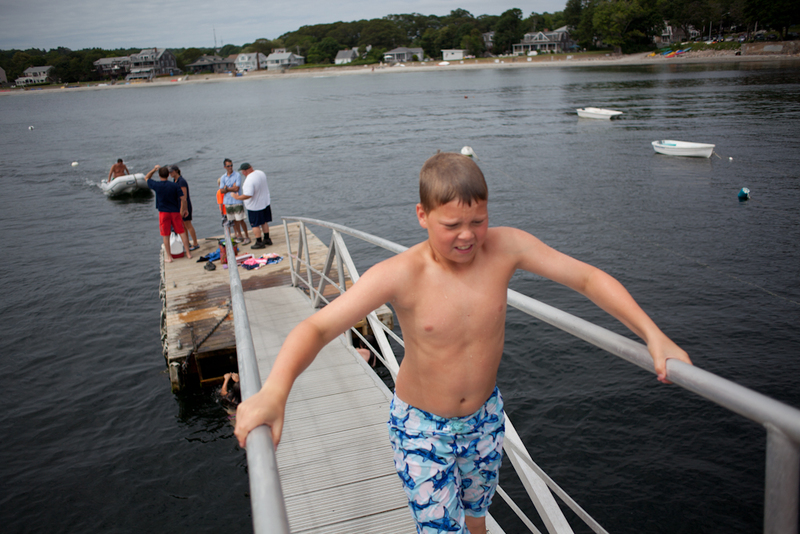 After jumping off the pier in Magnolia, MA on July 13, 2013, John Laure climbs onto the floating platform by the pier. John came to pier jump and swim with friends. On July 13, 2013 in Magnolia, MA, William Larson walks back up to the pier after jumping off. William has played on this pier for many years. I know, the jumping pictures where fun, but not part of my assignment. I’m keeping strictly to the book!